Last Wednesday we received the sad news that Prof.dr.ir. 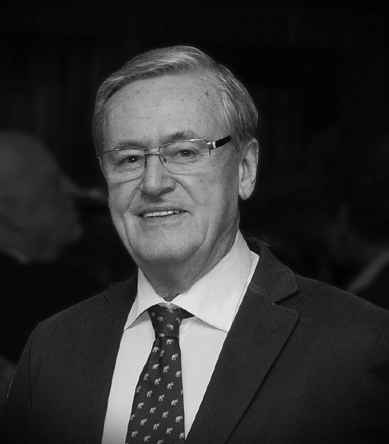 Klaas Jan Beek passed away at the age of 83. Klaas Jan was appointed as Professor of Land Evaluation and as Rector of the ITC on 1 October 1980. This made him the third Rector of ITC. Under his leadership, ITC made an important transition: from aerial photo interpretation to satellite remote sensing and from analogue to digital geo-information processing. He handed over the rectorship in 1996 to his successor, at the occasion of the opening of the new ITC building at Hengelosestraat. ITC's main focus remained capacity development in economical and technological less developed countries. But these activities required more and more support of education and research at an increasing scientific level. These changes were the reason for a name change in that period: “International Institute for Aerospace Survey and Earth Sciences”, where the term Aerial was replaced by Aerospace because of the increased use of space platforms in education and research. The ITC community has good memories of Klaas Jan, most of all because of his positive attitude and good-humoured nature. He was a more than excellent ambassador for the ITC and its field of work.